So named for the wolf-like sounds the resident sea lion colony makes, this state reserve incorporates 554 acres of land and 750 submerged acres, including 80-million-year-old rock formations, arresting aqua-blue coves with fine sand beaches, gnarled Monterey Cypress trunks, scores of slumbering seals and a long list of other natural delights. 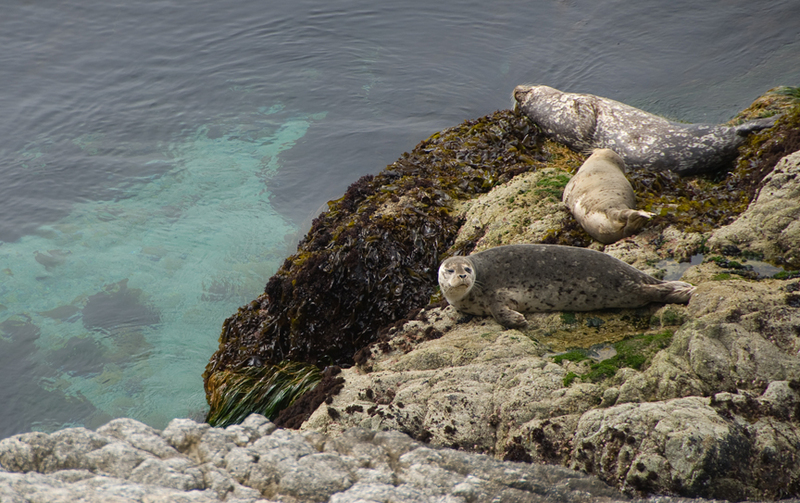 During our recent trip to California, I visited Point Lobos five times. I just could not get enough of the soft blues and green hues of the low-lying vegetation, the ever-changing light and the abundant wildlife. My work has evolved in the past decade to incoporate color photography and despite, or maybe because of, Weston’s monochromatic example, I did not feel compelled to shoot black and white at Point Lobos. Maybe since the Maine winter starved me of color, that’s what I was enamored of while there. It should be noted that while Weston’s black and white images of Point Lobos are best known, he did make some Kodachrome images there. So, perhaps his ashes, which are scattered at the now eponymously named Weston Beach, will forgive me my use of color. I also hope he’ll forgive me for posting digital (gasp!) photos. I took loads of film images at Point Lobos and have high hopes for the results (the mark of an amazing landscape for me is when I pay it the honor of using film instead of digital), but in the interest of immediacy, I’m posting some quick digital captures here. Here’s the obligatory cute seal photo. 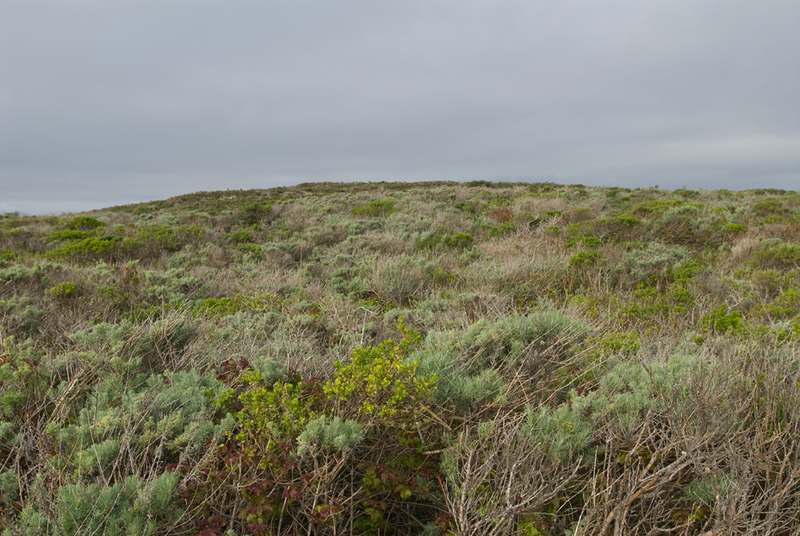 A ranger I spoke with at Point Lobos, Chuck Bancroft, has worked there 28 years! The excitement with which he pointed out an osprey in a distant tree and described the birth of a seal he had captured with his camera the previous day made me think he hasn’t lost an ounce of enthusiasm for his job in almost three decades. And understandably so. To be surrounded by this breath-taking landscape and educate people about its wonders day after day seems like a dream job to me. Ranger Chuck drew me a nice map of where I might be able to spot a long-eared owl that was apparently newly in residence on the reserve. 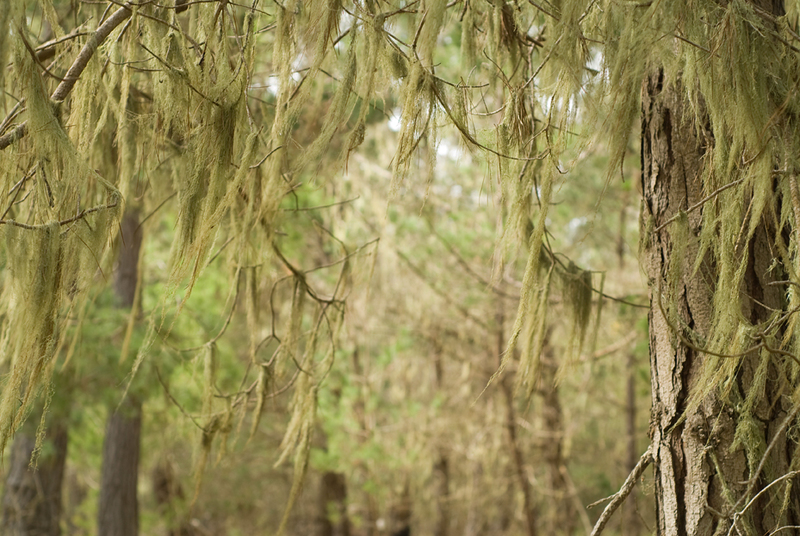 I didn’t find the owl, but along the way, I did see this lace lichen, which was definitely photo worthy. 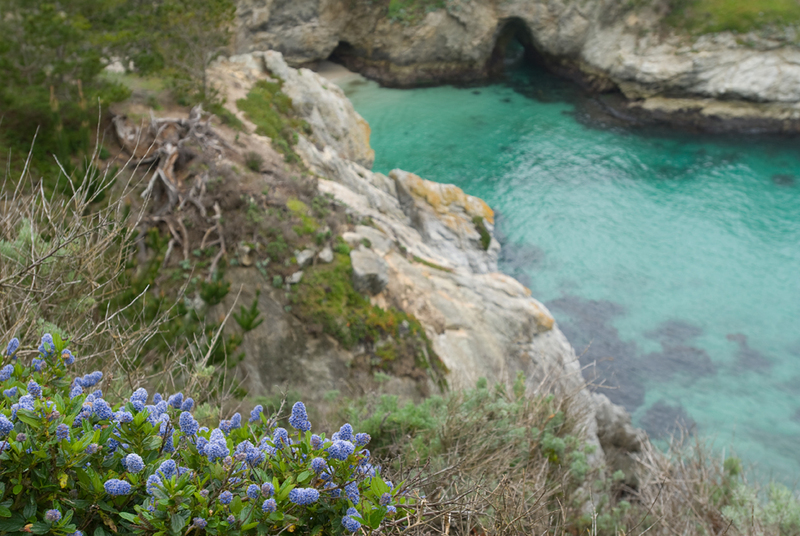 I can easily see the allure of going back to Point Lobos repeatedly. Each visit yields different light, varying observations and a growing sense of what matters. Even if I can’t have Ranger Chuck’s job, I will definitely make future visits to this astounding natural treasure. This entry was posted in landscape and tagged California, Carmel, China Cove, landscape photography, lichen, photography, Point Lobos, seals, Weston on March 30, 2009 by Stacey Cramp.